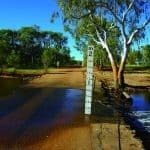 Additional measures are now available for primary producers in the Local Government Areas (LGA’s) of Lake Grace, Ravensthorpe and Swan who were severely affected by flooding in January and February 2017. The rainfall and flooding event resulted in considerable damage to farm business and primary producers who suffered direct damage as a result of the event are eligible to apply for a grant for the clean-up and immediate restoration costs. Primary producers located in the Lake Grace or Ravensthorpe LGA’s are eligible for up to $10,000 and primary producers in the Swan LGA are eligible for up to $25,000. The payment of any assistance can only occur if a detailed tax invoice, evidence of payment (including bank statement and/or detailed receipt) for cost of damages incurred is produced. The grant is not intended to reduce incentives for primary producers to ensure they have adequate suitable insurance/industry compensation funds coverage against damage from hazards and consequent disruptions to business continuity. Applicants are required to claim on insurance/industry compensation funds where available. (j) that the primary producer intends to re-establish the affected business. Your farm or pastoral land must be located in a Local Government Area that has been declared under WANDRRA AGRN743. equipment and materials to undertake clean-up. cost of using your own labour, your existing staff or your own equipment. The payment of any assistance can only occur if a detailed tax invoice, evidence of payment (including bank statement and/or detailed receipt) for cost of damages incurred is produced. The cut-off date for lodging applications and tax invoices, bank statements and/or receipts will be midnight 4 December 2017. Further information including the online application process is available at www.agric.wa.gov.au/wandrra or by calling 1800 198 231 between 8am and 5pm Monday to Friday.